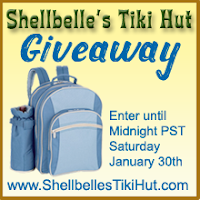 Shellbelle's Tiki Hut: Giveaway at The Tiki Hut! It's 3AM and I'm still up!! Just want to let you know that I blogged about your giveaway on both of my blogs. The perfect bag to go on a picnic with my husband!!! Love it!!!!! A beach picnic of course!! And I love the Blue! Yay what a lovely giveaway, thanks so much for thinking of us! I would go to a lake at out state park and take hubby. picnic with my husband. We live on the lake. If I could go anywhere for a picnic it would be to a little town on the Sonoma Coast of California called Jenner it is beautiful. I would of course take my husband. I love the hunter green color. Fantastic give away. I would surely pack that bag with yummy goodies and take the ferry to Orient Point in NY, then take a long hike at Orient Beach State Park with my honey. Love the blue even though I know the black would look cleanest the longest. I am going to check ou the fountain store right now. My birdies would love a fountain to take their summer showers in. I'd go for a picnic with my mom and dad, and I'd take my yellow lab along too :) I'd go to the state park near our house--they have a beautiful woodsy picnic area and a stream. I love the Hunter Green color. It fits in with nature! The fountain store--bonus entry. Thanks for the chance to win! I would take my husband to the old cow pasture near our house or down to the river. So glad you visited my blog so that I could find you! I would go on a picnic with Mr. Tide, to the beach at St. Mary's City...it's really pretty and quiet there, the perfect place for a picnic! I would pick the cornflower blue one. It's pretty, and I love cornflowers! I would take a picnic w/ my husband & daughter, probably to a local park but we would much prefer the beach! I would choose the black backpack. I love CSN's AllModern site. I would take it for a picnic at the park. I like the cornflower blue. Thanks for this awesome giveaway, and thanks for checking out my blog too! Okay, if I won I would kidnap Mr. 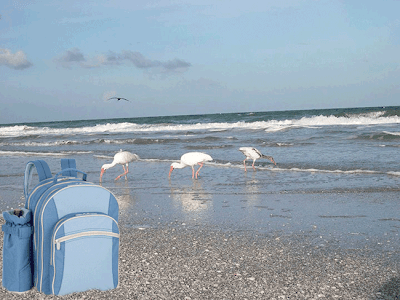 Finesse Your Nest and take him to our beach for a romantic picnic! I would pick Cornflower Blue! I just signed up to be a follower! Any girl who loves all things "Beachy" is a friend of mine! Just checked out CSN's list of stores. All Home Bar.com looks interesting. I'm setting up a minibar in our breakfast area soon and looks like they have a lot of nifty things I'll be checking out! Love the Tiki Hut Rules...I'm compltely ready to comply. If I won this awesome back I would grab my huband and head to the redwood forest. Our favorite place for a day trip. I follow your blog. I really like your set up and ease of reading it. Not entering contest because I have 2 of those bags and we love them, especially when we go to the beach!! I live in Guantanamo Bay so like you, the beach is my favorite place to be. Love the blog!! I would go to Lettuce Lake with my best friend for a much needed girl's day out. I like the cornflower blue. It's a beachy color! Thanks to Maya I found you and am a now a follower. I checked out CSN's stores and since I have a plate addiction, dinnerPlates.com looks interesting. Oh I love this! thanks for the chance to win. I would go on a picnic with my sweetie down to Alki Beach. Even though its super cold right now. The first place we would use this would probably be on one of our weekend hikes. This would make lunchtime on our trails so much easier! I am a follower...a new one. But I've been reading your blog for the last hour and I love it! 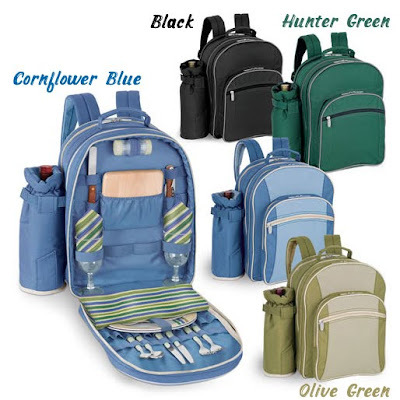 If I won, I would pick the cornflower blue backpack. The olive green is my favorite. I checked out CSN, and I also love the accentfurnituredirect.com ! I like blue because I'm that kind of gal! Hi Rhonda, nice to meet you. 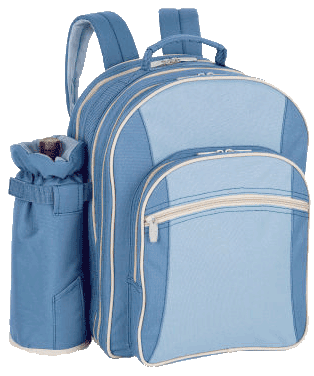 If I were to win, I would head down to San Diego county to one of the lovely beaches there for a magnificent picnic with my husband of almost 33 years, Carl..
Oh, I would have to have the cornflower blue backpack would go so nicely with the ocean in the background! Rhonda, althought I just found your blog, I love it already! so I am a new follower! I love the picnic backpack! 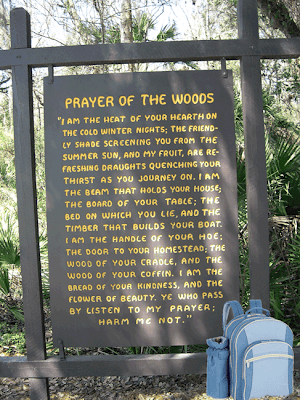 I am a Florida gal who loves going to the beach, river or springs close to our home! I could see us using this on the boat or when we beach for lunch during scallop season! Hope I win! I would love to have the cornflower blue backpack! It would match the boat and the water! Oh how I love to coordinate! Sign me up again! I just became a follower! I love all things beachy and anything that honors my beautiful home state! Keep it coming girl, you are talking my language! I have used CSN before for trade show supplies! I haven't really shopped their homegoods! I found a beautiful outdoor rug (safavieh courtyard sisal)in a runner size for my front porch! It is less than $40 bucks so you can't beat that, plus their selection was great! Hi Rhonda, I grabbed your button and it's now on my blog! I would go in my backyard overlooking the woods with my dh. I would picnic on the beach with my family! This is the perfect prize... I would head to my favorite beach here in Milwauke... once it warms up of course. I would bring my friend Sarah... and others, but they'd be on their own as far as supplies since my backpack serves two!! I think I would like the Blue... so beachy! Of course I follow... I love the Hut!! And I am now adding you to my sidebar... sharing is caring!! This is a rad giveaway lady love!! My son, his wife and I would picnic at Sea World. I would want the cornflower blue. Well, it's rainy, cold and windy here in NC, so...the picnic will take place in my family room by the fireplace. My 4yr. old grandson that's visiting from FL and myself. Great "nana" time! I will definitely take my husband and we are planning for this summer to explore the New Jersey Trails & Park. My favorie color is the black with the white trimmings. I already had your blog button on my Blogger Friends! I posted your giveaway button! Hi Shellbelle, I love this giveaway!! I would definitely go on a picnic in my backyard with my family and pets. 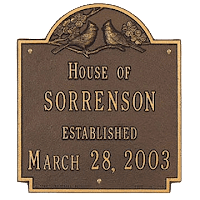 I checked out their store and I love the dinnerware, the set of Marilyn Monroe by Rosenthal was fun and I would like that for parties and photo shoots here at the paris house!! I would picnic on the top of a mountain in early fall, and I would bring my dogs with me! I think the Hunter Green is my favourite colour. And yes, I am a Follower, but more importantly, a friend. I did the same thing when they asked me...I checked them out too. I would take a picnic at Sleeping Bear Dunes in Michigan. I love the olive green one. I spent a couple hours looking through the cookware.com store. i would go to a park near where i live. i've had a picnic there. it's fun. and i bring my close friends. i would love the hunter green. I am still a little clueless about posting buttons and such! But I managed to blog about your giveaway and plan to start following you N O W ! I love the cool blue picnic carrier. I would love it! I would steal my husband away and go on a picnic very close our home at Webster Lake. It is about 10 minutes away from our house. They have a beautiful lake ( hence, the name!) 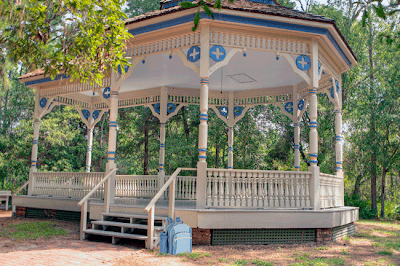 and it is a beautiful park with lots of fun summer time activities. I am longing for the warmer weather. Plus your blog is the best! Thanks! What a fantastic prize! I would definitely bring my husband and three boys to the beach at the end of Key Biscayne. My son has already requested a birthday trip to the light house beach. I guess I am not alone because I see one comment for the giveaway on sime folks and multiples on others! Oh well,,here I go! I am learning! I am learning! In my family we are all about the ocean, so I would definitely have to choose blue. I would take the hubby to Webster Lake for a nice romantic picnic. I am following your blog and it is awesome! I just signed up to be a follower. I found you through A Beach Lover's Place. Your button just found its way to my Florida Free & Frugal blog. Blue would be my color choice. Posting the giveaway on Artfully Graced. CSN...interesting site. I have checked the Outdoor Shop, the rugs, sofas, cookware. Verrrrrry interesting. 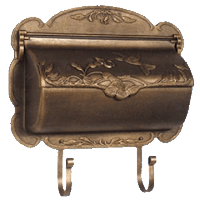 Wonderful give away! I would go on a picnic with my husband this spring or summer to the vineyards of Norhern Long Island. I have been wanting to do that for a long time and then we forget to follow through. Having this pretty bag would be a big help! I visted CSN and I liked the Early Childhoo store as it had many, many things I could buy for my grandson. I really liked te lock set and the music table. I would probably take the picnic down into the forest trails by this dairy farmer just outside of town, been there only a handful of times, and would probably drag my husband and daughter out with me for a good walk once the weather gets warmer! I think I would have to go with the black or blue backpack, just something neutral that would go with any shirt or jacket! Oh sweetie that is an easy one. It would be a day picnic to Sedona. We could picnic by the spring there. So beautiful. Ofcourse it would be with the love of my love for 34 years now. Thanks sweetie. You chose wisely. Following instructions. My next entry. I would be chosing the cornflower blue ofcourse. I think it is such a beautiful color, and the perfect match for two on a picnic. Thanks for asking sweetie. Please enter me again. I love this. Yes sweetie. I am a follower. Is there any other way? I love to come and read about the wonderful tips and trips you love to share. I thank you for sharing today. Okay sweetie...I have also added your giveaway to my blog with pride now. I think it is beautiful. I want to win. I want to win. How exciting. Have a beautiful day. Bonus sweetie. I checked out CSN's stores and dinnerPlates.com looks interesting. I love plates of every kind. I can never go past the kitchen area in any store and not check out the china. Love it. Thanks for the fun game today. Whoevery wins this, it will be a wonderful treasure. The first place I would go would probably be the park or a state park with my husband and my son (under 2). I would pick the Hunter Green. I would definitely have a picnic with the hubs and my 2 boys at Lake Carroll near our home. Since we live in GA now, I miss the beach at home in MA so much. I love the cornflower blue because it reminds me of the sky over the beach at home in MA. definitely a new serious follower, anything beachy is it for me! I think the FIRST place I'd use it would be on the banks of the mighty Mississippi River. That's a favorite hangout to just watch the lazy river flow on toward N'Awlins. This would be perfect for that! Next, I can totally see carrying this to an outdoor concert event, with some gourmet cheese, fruit, crackers, bottle of wine... and stirring music under a glorious night sky. I think I'd prefer the black one. Awesome giveaway by the way! I would pack it up, my kiddos and hubby and go to our land that we own that we hope to build on someday. Olive green would be my choice. I love those blog sirts on the sidebar! We are in need of a mattress so I will say the http://www.csnmattresses.com/ is one I need to shop at. I like the black backpack the best, because if won't get dirty as quickly! Right now I'm loving CSNbaby.com! I'll have to browse around while my little guy is asleep! I like the hunter green backpack. What a fun prize, perfect for the coming of spring. I'd go to our local pond for a picnic and take Hubby with me. I would pick the blue one - very pretty! Its a pretty nice giveaway! PS can do real wonders! Such a nice give away, I would love the blue one. I am a follower already and would love to bring this to an outing in Maryland this summer with my family (if budget permits hehehe). Good luck! Love the giveaways! but I'm too far:). Looking forward to joining you for some more beachy goodness often! Ronda...it's always great finding a wonderful blog to follow! Thanks for the fun! Well it is too cold right now to have a picnic outside, right now. I would have one at a local State Park when it gets warmer or possibly a ski slope. At first I though black because it does not show the dirt. I really like the cornflower blue the best though. I will just spray it with Scotchgard. Oh, I have already been one of your followers for awhile. Love your inspiration. Yes, a picnic what fun that would be. In Chicagoland area it is gray and frigid. Would be a nice break. I would take a picnic to Snoqualmie Falls with my husband and three boys. You hike around the falls, so it would be perfect to have a picnic backpack. A company that will ship to Canada? I am so in for this one. Thanks. I would love a black one if I win. Where would I go on a picnic. Well I would head south of here about 40 minutes. There is an area called Crescent Beach and it would be blowing and cold. I would take my BB (big burly) Guy with me of course. Who else will carry the back pack for me? I did sign up to follow. I have visited several times recently so it is not just for an entry. You are always so kind to everyone in blogworld it is a pleasure to follow your site. Your badge is on my sidebar and all linked up to your site. The beach is always my first choice for a picnic, our coastlines are incredible. My sweet hubby of course. My favorite color is green, hunter green. You are such a sweetie to do things like this. Even though I don't get over as often as I would like to I am a faithful follower. CSN is an interesting site, I like their Shoes, Bags & Luggage shop. I would want a beach side picnic. I would pack light foods....marinated shrimp, greek potato salad, cheeses, breads, fruit, and rum cake for dessert. If I won, itd be a toss up between the black and the olive green. LOVE to look and dream! I already thgouht I was a follower, but clicked to find I wasnt; I am now. TY! and I am so serious. Smile. The place for a Picnic? either Saint Mark's square in Venice, Italy..
or the Costa del Sol in Spain..
it is warm there and citrus blossom's will soon be filling the air.. In reality, probably Pensacola Beach for old times sake..
my sweetheart would accompany me of course! why cornflower blue of course! grabbed a cybercart on my way in..
picked up neat blue luggage at the Cruise Cheap Luggage Outlet..
plus found the neatest walking shoes and purse.. BLUE to match my backpack and luggage.. these came from Shoes Got Sole Outlet..
so I'm on my way..passport and plenty of cyber cash..arividerci..and adios..
Shellbelle, I love this pack, the first place I'd take it, is to Caves Cove in TN for a picnic in the beautiful valley. Sorry I'm just getting around to visiting, my computer has been messed up...I'd love to have the beautiful blue one...since blue is my favorite color. ok, comment 3 I am a follower, have been for a little while. number 4, posted your give away on my blog side bar. Can't wait to see who wins, you sure picked a great item to give away, you have great taste. Rhonda, I would the blue one with little delicacies and take my grandchildren to my backyard and have a fun little tea picnic! first place I would go on a picnic is to our local Kern River and I would take my 3-year old son and husband with me. i like it in Hunter Green.